Hawaii is a popular vacation destination in part because of the amazing coastal weather we experience, making enjoy the scenic outdoors so easy. The Kohala Coast is no exception, with an average annual temperature of 71 degrees! With beautiful beaches, great local entertainment, vibrant Hawaiian culture, and wonderful weather - the Kohala Coast is a great place to plan your next paradise escape! Even on rainy days, visitors enjoy fun activities on the Big Island! The weather forecast below shows the upcoming conditions for the Waikoloa Beach and Kohala Coast. Ready to book your next vacation on the Kohala Coast? 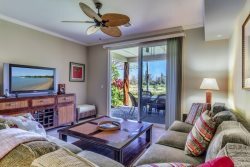 Resortica Hawaii is here to make planning easy with our online booking process, where you can find the perfect vacation rental with all of the amenities you are looking for! View our rental properties now!